The subject property is situated in Scunthorpe which is the commercial centre of North Lincolnshire. Scunthorpe has a resident population of approximately 75,000 with industry, retail and amenities commensurate with size. The subject property is situated approximately 1 mile to the south of Scunthorpe town centre with Northampton Road being contiguous with the Midland Road Industrial Trading Estate. Both of these estates are well established and largely characterised by freestanding industrial/storage units with their own yards and car parking. Further to the east is Brigg Road which is a main feeder road within the town and contains the British Steel works to the east. Northampton Road and the Midland Road estate have a large diverse nature of trades with close by being Barry Collen Roofing, Buchen, Premier Pitch and Golden Wonder snack food factory. The unit is of traditional construction and has a projecting double storey office pod which serves the workshop and storage unit behind. 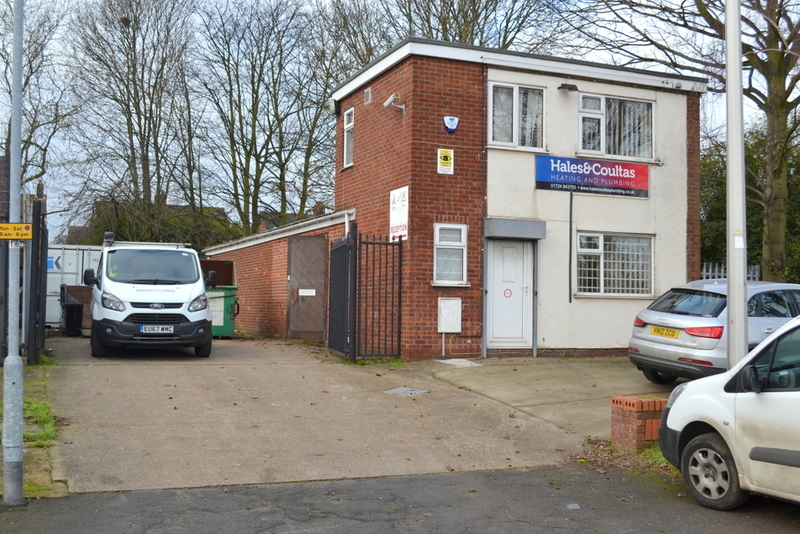 Offices located to the front with flat roof, upvc windows and doors. Roller shutter security. The offices are divided into main office and general office along with WC and kitchen. Workshop constructed with outer elevations of brick beneath a sheeted roof with natural lighting insets. The workshop has been sub-divided into smaller store areas with a small mezzanine storage level above part. WC accommodation. Double loading doors to the side elevation with an internal roller shutter security door. Site to the front has a parking area and soft landscaping. The side and rear yard have a concrete surface. The ground floor is entered in the rating list as Workshop and premises. Rateable value £4,550 per annum. The rateable value is below the Government threshold for small business rate relief. An ingoing tenant may be able to claim 100% exemption. Interested parties are advised to contact the Local Rating Authority as to whether any rate relief is available. It is understood that gas, electricity, water and drainage are connected to the property. Gas fired central heating to offices. Services have not been tested and prospective occupiers are advised to check the adequacy of the supply for their intended use. EPC D86. A copy is available upon request. The subject property is available by way of an occupational lease the terms of which are negotiable with the tenant being responsible for internal repairs, decorations and external decorations to usually painted surfaces. The ingoing tenant will be responsible for all outgoings, services and landlords legal costs on lease preparation. A sale of the long leasehold interest would be considered.